In the debut episode of the View 902 Podcast, I chat with my good friend Aaron John Gulyas. 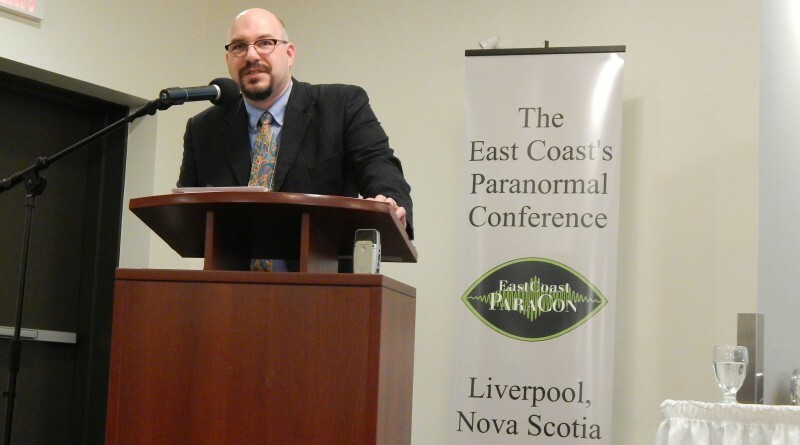 We cover an eclectic range of subjects, including the strange life and times of Albert K. Bender and his role in creating the Men In Black mythos (the subject of Aaron’s great presentation at the 2016 East Coast Paraconference in Liverpool, Nova Scotia back in early August), why people gravitate towards the Extraterrestrial Hypothesis as the go-to explanation for UFOs, and some 19th century American history, including a debate over who really won the War of 1812. We conclude with a shocking revelation about President-elect Donald J. Trump. Aaron is an historian, author, lecturer, and sci-fi nerd. He is an associate professor of history at Mott Community College in Flint, Michigan, and also serves as a faculty technology consultant for the college’s Center for Teaching and Learning. His books include The Chaos Conundrum: Essays on UFOs, Ghosts, and other High Strangeness in our Nonrational and Atemporal World, The Paranormal and the Paranoid: Conspiratorial Science Fiction Television, Extraterrestrials and the American Zeitgeist: Alien Contact Tales Since the 1950, and Conspiracy Theories: The Roots, Themes and Propagation of Paranoid Political and Cultural Narratives.